Halfwave is pleased to announce the award by INPEX Australia of a long-term contract for multiple inline inspections. The scope of work includes a custom built 42 in. acoustic resonance technology (ART) Scan™ by Halfwave to inspect the subsea pipeline that requires a low flow subsea launch with high speed inspection of the Ichthys 890 km natural gas transmission pipeline. The Ichthys LNG project is located in the Ichthys field within the northern Browse Basin about 220 km northwest of Western Australia's Kimberley coast, at the western edge of the Timor Sea. During operations, the Ichthys LNG project is expected to produce up to 8.9 million t of LNG and up to 1.6 million tpy of LPG and 100 000 bbls of condensate per day at peak, requiring an 890 km pipeline to facilitate export. The patented ART Scan utilises ART to perform integrity inspection of pipelines. Wall thickness is measured by analysis of the resonant signal that is emitted from the target, which allows for a direct and accurate measurement of the target thickness. 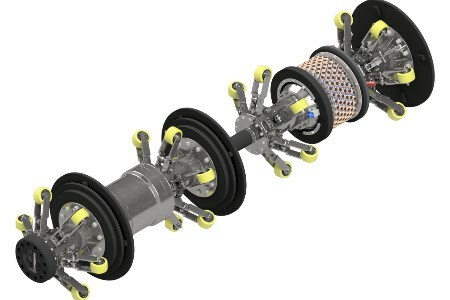 ART can be applied for both inline inspection and for ROV deployed subsea inspections of pipeline infrastructure.